Maulana began this landmark Suhbah by exhorting us to try to be thankful servants of Allah, as He created us, and He is granting us endless favours, in dunia and in the hereafter. “You are our Lord, we are your servants,” Maulana said. True, a servant has nothing to offer his Lord, for Allah owns all Dominions of Honour, but Allah likes it when a servant is thankful to Him, and says, “Shukur, Ya Rabb! Thanks to You, oh our Lord!” Allah likes it when His servant realizes it is He who has granted him /her life and its blessings, Allah likes it when a servant acknowledges this with adulation and respect for Him, Allah likes it when a servant is humble enough to bow and submit to Him! Though such praise, glorification, submission, acknowledgement, thankfulness, realization, adulation and respect brings no benefit to Allah whatsoever, Allah is very pleased by one who shows such traits of humility, of servanthood, for these are the attributes of His beloved Muhammad (saw)! Even if an ant were to say, “Subhanallah, Glory be to You, my Creator, my Lord,” it makes Allah happy, it pleases Him. That point we must all learn, we must know and we must teach, that every good word, every good speech, every good action, every good effort – no matter how small – is pleasing to Allah. Every creation calls upon Allah Almighty. Allah likes His creation to call upon Him and to Glorify Him. Allah is not asking for anything else from His creation, He created everything to glorify Him (tasbeehahum). It is so simple! From the beginning, our grandfather, the first messenger, Sayyidina Adam (as) was always crying and pleading to Allah, beseeching, “Ya Rabbana, ya Rabbuna,” and such an act pleased Allah very much. He would supplicate (doa), “Ya Rabbana, Ya Rabbana, Ya Rabbana, Subhaanak, Ya Rabbana, Ya Rabbana”. And he taught his children to say “Ya Rabbana, Ya Rabbana, Oh our Glorified Lord”. Those were the first words that Sayyidina Adam (as) recited on earth, his first words were a cry out to his Lord. After him, Sayyidina Seth (as) recited those sacred words, then Sayyidina Idris (as), then down the line of the Chosen Ones, reaching to Sayyidina Nuh (as), then Sayyidina Hud (as), Sayyidina Lut (as), Sayyidina Yunus (as), Sayyidina Ismael (as) and Sayyidina Ishaq (as) – all of them calling, “Ya Rabbana” Then Moses (as) recited those words, followed by Jesus (as) saying, “Ya Rabbana,” and finally, Sayyidina Muhammad (saw) said, “Ya Rabbana, Ya Rabbee, Ya Allah.” Allah Almighty is Rabb, Rabbul Izza. The Prophets never called out to people as follows, “Oh My Lord’s Servants, hear, listen and obey.” Allah and the Prophets never referred to humans as servants. Servanthood is perhaps the beginning (lowest) level of obedience. There is an even higher level of servitude and submission! Allah is inviting us, the Children of Adam, to a higher level of servanthood while we are on this planet, so as to be in His Divine Presence for eternity. Look at this Verse, Allah says he is creating Deputies, not servants! Allah honoured Mankind, Allah called us His Khalifa, not His servants. Look at the Oceans of Heavenly Knowledge – explaining levels within servanthood that are so subtle, that we would never have noticed, if a Master had not pointed them out. How often have we read and heard these Verses, yet have we ever looked at them in this light? The Jews call their learned ones Rabbis, the Christians call their holy ones, Saints, the Muslims hail their pious ones as the Ulama’. None of these humanly given titles, makes Allah happy! Tonight is a special night, a night to where the inspirations sent to Maulana’s heart are intended to drown the hearts of the entire Nation of Muhammad (saw) in satisfaction. The Holy Prophet (saw) had said, “My Nation (of believers) will be divided into 73 sects.” We have seen this great divide with our own eyes, every Muslim sect claiming to be on truth (haq), while condemning all other sects. Tonight, Maulana says, these 73 sects will become one. It is the first time in Islamic history, that the Spiritual World has addressed this matter, and this momentous announcement is for the entire Muslim world (regardless of sect), and no one can deny its truth; whoever does not understand it, is at the level of animals. Since the early days of Islam, a wrong understanding had slowly spread amongst the servants of Allah, causing them to be thus divided today, each one standing up against its perceived opponent, with a different ideology or over some issue that becomes the bone of contention. So many groups have taken offense to the word ‘Tasawwuf‘, many groups are either for or against Tasawwuf. True, says Maulana, Allah has never said to his most beloved Khalifa, “Say to your people, that they are Sufi people.” (The word Sufi is derived from Tasawwuf, defined loosely as the Spiritual Way within Islam). Neither the Quran nor Rasulullah (saw), ever taught ‘tasawwuf‘ per se. The Companions of the Holy Prophet (saw) had never even heard that word during their lives! So Maulana says, we should avoid such terms from today till the end of time, as such terms contributed to the humungous divisions within Islam today. Instead of identifying something that divides us into sects, we must seek a reality that unites us all, regardless of which sect we profess to be from. There is no Verse of the Holy Quran or Hadees Qudsi that says, “Be ye Sufis!” or “Be ye Naqshbandis!” or “Be ye Qadiris!” or “Be ye Shazilis!” or “Be ye,” to any of the thirty-eight other Tariqahs existing today. Or “Be ye Salafis,” or “Be ye Wahhabis,” or “Be ye Shias.” These self-proclaimed sect-names are not accepted in the Divine Presence. Allah did not command us to be Sufis, Tariqah-followers or followers of any of these sects. That is not the aim of religion! The aim of religion is to please Him, to accept His invitation to be in His Divine Presence; why are we quarreling about the means by which we seek to achieve this? Do we want to be like the Children of Israel? They were the Chosen Ones at one point in time, but they divided into twelve sects. They lost their honour when they became divided. “Wa (lakin) qoo nu Rabbaniyyin,” means, “Oh My servants, be amongst those who are Mine, who belong to Me, and Me alone.” That is the aim of religion – to be His! When asked, you must say, “I am trying to be My Lord’s, I am trying to be a Rabbani.” That is the highest honour for Mankind, and such an intention removes hypocrisy from the heart. All the forty-one tariqahs belong to Rabbaniyyin. With that shared intention, common understanding and identical Quranic name (Rabbani), there can be no more animosity and antagonism between all the sects, hence paving the way to the unity that was forged in the Prophet’s (saw) time. This Suhbah is a direct attack on the fortress of shaitan, who thrives on inciting hatred and malice, not only amongst Mankind, but especially between believers. So how does one become Rabbani? Allah says in a Hadees Qudis, “Oh my servant, obey Me! Obey Me, and I will make you Rabbani.” And what is the sign of a Rabbani? “If he says BE, it shall be.” That is the Divine Sign on His servant, that he is a Rabbani. One who is His, is dressed in God-ly senses, he no longer uses human senses. That is the highest level of servanthood; try to reach that point, a point where no sects exist! This fusing of all humankind into this single aim, is a one-time declaration, and we shall never hear it again, for with this announcement, the Day of Resurrection is now knocking at our doors. This final Suhbah, contains Key points that Summarizes the entire Series, so we shall go through this Suhbah in great detail. We apologise for the length of the Commentary, you may want to come back to read at another time if you are busy now. Not even a tiny act that remains hidden (a stolen glance or a hidden thought or a secret intention), will go unnoticed! Every act will be rewarded or punished, so beware, fear Allah, itaqullah! Now that we know what pleases Allah greatly – to call upon Him with thankfulness and humility, reverence and respect, fear and hope, realization and yearning – why aren’t we doing this every waking moment of our worldly existence? Muslims took different paths to draw close to Allah. The Prophet (saw) said, “The Ways to Allah are as numerous as the breaths of Man.” Instead of looking at the ultimate goal of pleasing Allah and being close to Him, Muslims began to debate about the different methods/means of achieving it. So they became divided over petty issues, and spent long years battling each other in futility. Maulana explained the clear distinction between servanthood and Khalifa-hood. Servanthood is a general term, used to address obedient ones, but Allah has prepared even more honour for Man. The clue lies in the fact that Allah said in (Surah Al-Baqarah 2:30), “I am placing a Khalifa on earth.” Not servant, but a Khalifa. To be Rabbani, is to attain the station of Khalifa, to have completed your journey, at the hands of a Master. For example, if servanthood is equated to being part of the Palace staff, then the Khalifas are the inner circle of the King. Compared to subjects with no access to the Palace, being on the Palace staff is a great boon, but nothing compares to one who has access, not just to the Palace, but to the King. Allah is giving us that opportunity, by inviting us to be more than honoured servants in the Divine Presence. Will you accept? Why no more Sufi, Tariqah, Naqshbandi etc? Why??? When Maulana spoke of the abolishment of the terms Sufi, Naqshbandi and Tariqah, it is in line with what our Prophet (saw) brought to the Companions. The Islam that Rasulullah (saw) taught them, was real Islam, and it was a religion of Love and Spirituality. There was no need to call it Sufi back then, as the only Way known then, was the pure, unadulterated Spiritual Islam. It was only later on in Islamic history, when believers began to shun Spirituality, that Sufi groups emerged to emphasize the need to seek Spiritual elevation. There was no teaching of Islam in the Prophet’s time, that came without Spirituality. All that he taught was Spirituality! The Prophet (saw) was in Makkah for almost 13 years, a period of time that was devoid of compulsory prayer, fasting, zakat or Haj – ironically, they were right there at the Ka’aba! But what was taught during that time, was Spirituality, what we call Sufism today. Maulana Shaykh Adnan gave a beautiful insight into this matter in his Ramadhan Suhbahs in Colombo, he said, “The knowledge of Shariat, like how to pray etc, was such a basic knowledge in the Prophet’s time, that it was not even considered ‘real’ knowledge. It was what the Muslims would teach to unbelievers, after they took Shahadat, and came into Islam. Once they had learnt the simple steps of worship, they were immediately taught the deeper Spirituality, and that was the real Islam.” So Maulana Shaykh Nazim is not doing away with Sufism – no! He is simply doing away with a redundant word, since Islam is Sufism, there was no other type of Islam in the Prophet’s (saw) time. For example, if you order a beef burger, you would expect it to contain a beef patty. So there is no point in saying, “I am selling beef burgers with beef patties,” unless there exists beef burgers for sale, with no beef patties. So there is no point saying, “I am a Muslim, and I follow Tariqah and I practise Sufism,” as, to be a real Muslim, already means to be on a journey (Tariqah) to attain a Spiritual cleanliness (Sufi). Islam is perfect by itself, hence using any other word to add to it, does not do it justice. Allah chose Islam – the perfect religion, as his favour upon us. Not Sufism, Tariqah, Wahhabism, Salafism etc. But Islam. That single word encompasses all the beauty and perfection of a true journey (Tariqah) to purity (Sufi), until one becomes a servant (‘abdullah), and is raised to the Divine Presence (Rabbani). There is no need for any other word to describe it, for Allah has called it Islam in the Holy Book, the perfected religion. To attain Rabbani is to attain the highest form of servanthood, to complete one’s journey until one becomes accepted as His Khalifa. You no longer just obey Allah, you are devoted and immersed in His service, you are one who lives, only to be with Him. You are His. Your heart is His completely. Like a man who has fallen in love with a woman, he gives in to all her demands, until only her Will exists, the man’s Will has completely disappeared, it has been totally immersed within his love. So the man is now acting out all the whim and fancies of the woman, it is like he has ceased to exist and only she exists, as he carries out all her commands and demands (like climbing the highest mountain and swimming the deepest ocean), it is her Will than runs his life. It is with her eyes, that he sees the world. And it is with her hand, that he touches. She has ‘dressed’ him with herself, he has lost himself in her. Maulana said, we must announce, “Oh my Lord, I belong to You, and I am leaving every other relationship in this life of mine, I am asking for a relationship with You, in Your Heavens.” One who seeks this bond, shall be given! So the difference between a Khalifa (Rabbani) and a servant, is like the difference between a cat that has an owner, and a stray cat. The cat with an owner, has a Collar that identifies it as belonging to someone, while the stray cat has none. What if our Collar identified us, as belonging to Allah, as His? Can there be anyone prouder and more thankful, than one who has been accepted into the Innermost Circle, Rabbaniyyin? Don’t be owner-less. Be owned by Him. It’s your decision. Where do Rabbanis go in the hereafter? 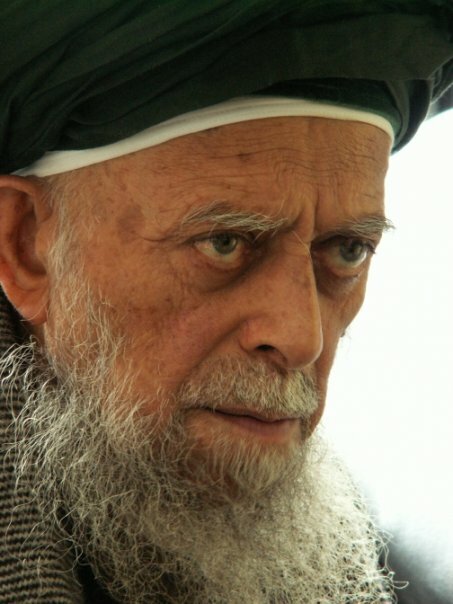 Maulana Shaykh Adnan spoke of the highest eight Paradises over the Throne, who are for true believers. These eight Paradises above the Throne, are from the Divinely World of Command, by BE they appeared. Allah prepared them, and decorated them, by Himself. These are for the Mu’mins. But Rabbanis, they are those who ‘completed’ their journey, to reach Khalifa-hood. They are those nearest to Allah. They are placed above the Mu’mins, above these Paradises! The merging of all Tariqahs under the flag of Rabbaniyyin, is amongst the final signs of the appearance of Imam Mahdi (as). It shows how close we are to that Divine event, there are those who have already dreamt of Imam Mahdi’s (as) footsteps in the white sand, leaving his Cave hideout in the Hidden Quarter. Maulana says, Qiyamat is knocking at our doors! Maulana is teaching us to swallow our egos and to look at the ultimate goal. If only iblis had understood that the goal of prostration to Sayyidina Adam (as), was obedience to Allah (and not obedience to Adam, bowing to Adam was merely the method of showing obedience to Allah). By focusing on the goal, we can put aside our differences and strive towards that goal. Sadly, many are focused on the means/methods (like iblis), and fall into dispute (again like iblis). Once a dispute arises, all hell breaks loose, and every rule of decorum (adab) is thrown out the door! We must refrain from sliming, slandering, pouring fitna’ and spreading false accusations aimed at ripping apart other believers’ pristine reputations. Back-biting and lies are very light on the tongue, Allah says, but very heavy on the Scales of Judgement. Read what Maulana says at the start of this Suhbah – every atom of your deeds will be presented to you, weighed and repaid in full. Remember, He says. The ultimate aim of religion is good conduct, so maintain adab, even when faced with unpleasant confrontations. There are polite ways in which we can agree, to disagree, without the need to lose our adab, and to descend into un-Islamic behaviour. Believers must unite, we must put aside petty and childish differences (unless you profess to still be a child), and seek to live a life of benefit to yourselves and your Communities. Be as the Prophet (saw) said, “A true believer, is one whom another believer is safe from his tongue and his hand.” Be united because we all seeking to be His special ones, let us help each other in getting there, for Allah says to help each other in matter of piety and taqwa. Immediately upon hearing Maulana’s announcement, many sought to persuade Maulana to reverse his decision, and Maulana explained later in another Suhbah, that attenders had been given enough for their needs in this world and in the hereafter, if only they took the time to study these 500 Suhbahs in detail. Maulana then said that mureeds should form study groups to dissect and study these Suhbahs in detail, something that SufiHub has been doing and promoting since last year. When I informed Maulana about what SufiHub has been doing through the Saltanat TV crew, he sent his salams and said that he was very pleased with this site. I also asked him for his blessings for our site. Alhamdulillah, Maulana’s blessings are evident, we jumped from a few hundred hits daily, to an unprecedented 36000 hits/day in just a few months. I thank all of you for your kind do’as, I shall do my utmost to have all the 500 Suhbahs summarised and commented upon. Keep me in your prayers, and I am seeking translators who can translate into any other language, to join us. You may help us by spreading the word, and by praying for us. Shukran kathiran. This Suhbah can be watched only at www.Saltanat.org, choose from the menu on the right, ‘Sohbat 20. Oct 2010′. There is a CC button next to the Volume control at the bottom of the screen to choose choose subtitles in eight languages, choose from Arabic, Bahasa Indonesia/Melayu, German, English, Spanish, Italian, Russian and Turkish. During Live Suhbahs, the buttons at the top provide Live Audio Translations into other languages. Should the video no longer be there, please look for it under the video archives of the Saltanat TV site. Saltanat TV is the Official Site of Maulana Shaykh Nazim that is sanctioned and approved by him personally. This entry was posted in Maulana Shaykh Nazim's Suhbahs and tagged Khalifa, Rabbani, Rabbaniyyin, Robbaniyyun, Sects, Servant, servanthood. Bookmark the permalink. It is uploading as I write this, so you may have to wait a few hours efore it is availa ble.